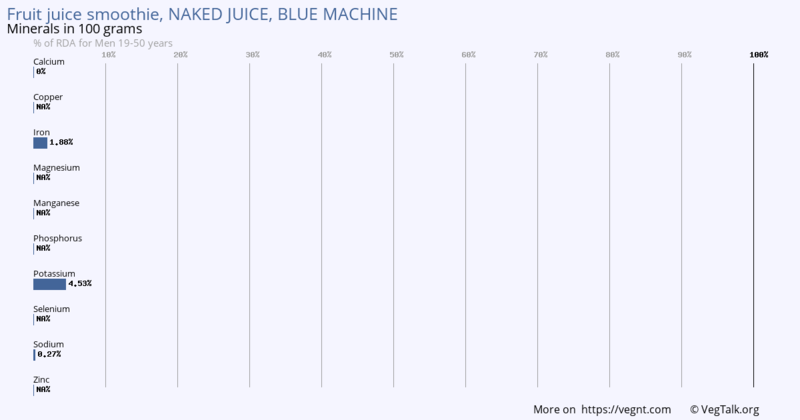 Fruit juice smoothie, NAKED JUICE, BLUE MACHINE. 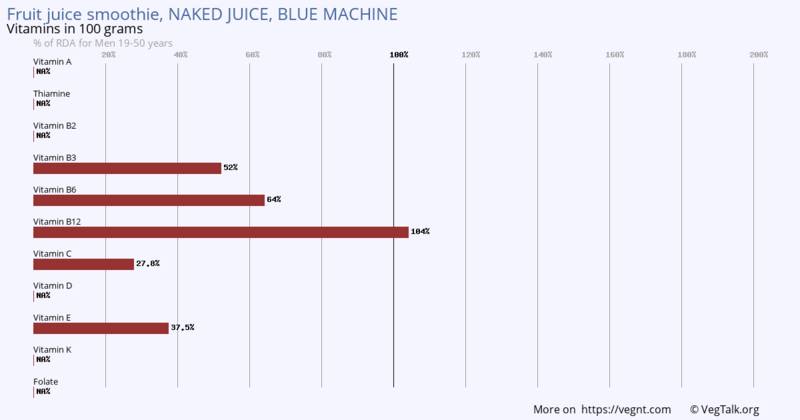 100 grams of Fruit juice smoothie, NAKED JUICE, BLUE MACHINE has outstanding amounts of Vitamin B12. It is an excellent source of Vitamin B3, Vitamin B6, Vitamin C and Vitamin E.
100 grams of Fruit juice smoothie, NAKED JUICE, BLUE MACHINE has some Potassium. While 100 grams of product has trace amounts of Iron, it has no Calcium and Sodium. 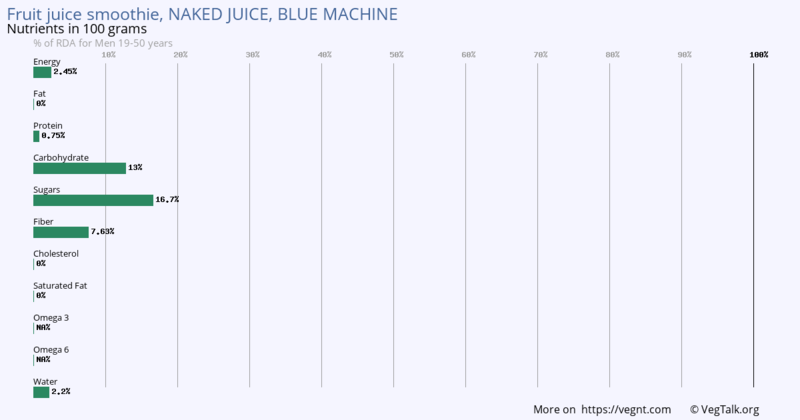 100 grams of Fruit juice smoothie, NAKED JUICE, BLUE MACHINE has a good amount of Carbohydrate, Sugars and Fiber. While 100 grams of product has trace amounts of Protein, it has no Fat and Saturated Fat.